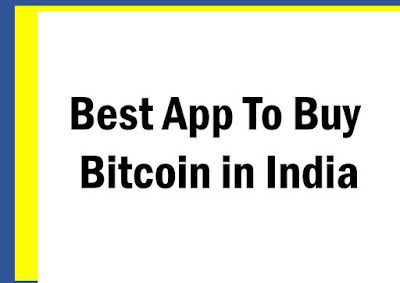 Which is the Best App to Buy Bitcoin in India? Good job! You’ve finally made up your mind to buy Bitcoin. Good days are coming ahead. Did you read our Bitcoin Price Prediction 2018? Read it and see how much money you would make from this cryptocurrency by the end of this year. 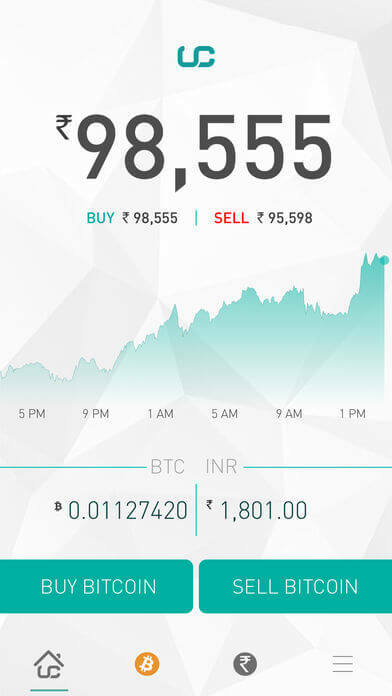 So you’re looking for the best app to buy Bitcoin in India? Bitcoin exchange is a direct authority platform that facilitates the smooth transaction between buyers and sellers. It is where you transfer fiat money into Bitcoin and vice versa. Acting as a guarantor between the 2 parties, exchanges ensure a fair flow of money and Bitcoin from one end to another. Bitcoin brokers are third-party platforms that can either act independently or on behalf of the exchange. They can make the transaction between the two parties possible via different ways. One, they can buy Bitcoin from the sellers at their own set price and sell it to the buyers at their own set price. 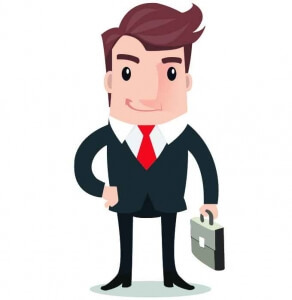 Two, they can bring together buyers and sellers to make over-the-counter Bitcoin trading. In return for their service, they charge a fee. Three, they can purchase a number of Bitcoins from any exchange. And then they trade them among a group of their customers at their desired price. Bitcoin brokers are obsolete these days. You won’t find too many of them, given investors are directly purchasing their Bitcoins from exchanges. Bitcoin wallets are where you save your Bitcoins. They are just meant to you store your Bitcoins safely. You buy your Bitcoin from exchange or broker and then transfer it to these wallets, which come in both software and hardware form. That’s it. They just hold your cryptocurrency securely. These days, top exchanges also offer Bitcoin wallet. So you will usually see them calling themselves as both “best Bitcoin exchange” and “best Bitcoin wallet”. 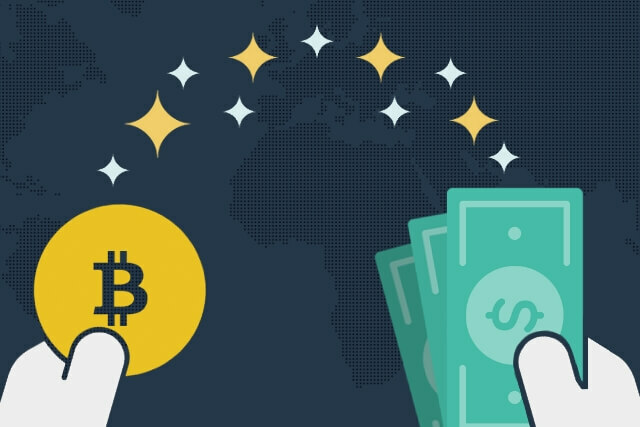 Plus, you will also see few primarily Bitcoin wallet companies who are selling Bitcoin through any of the above-mentioned brokerage models. 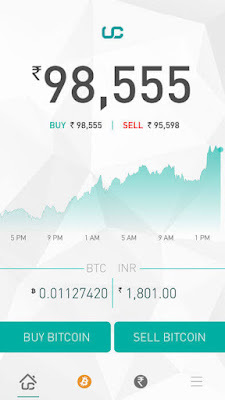 If you’re looking to buy sell Bitcoin in India, you are looking for exchanges. 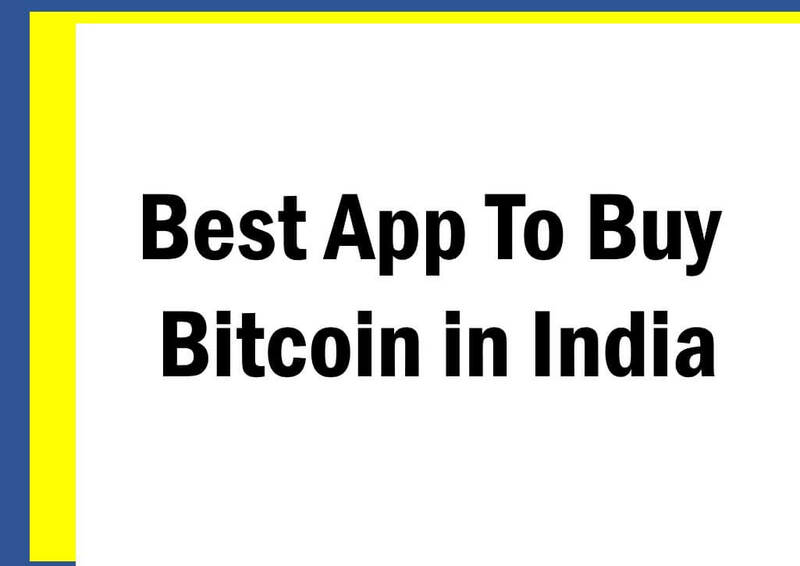 And if you want the best app to Buy Bitcoin in India, you must first find exchanges who have a functional mobile app in the first place. Because not every exchange has an app. Most of them, in fact, only facilitate trading only on the web platform. Zebpay is possibly the best app to buy Bitcoin in India. One of its biggest unique points is that unlike other exchanges, it doesn’t have a web platform at all. If you want to trade Bitcoin here, you have to download its mobile app. It has an extremely simple user interface. The latest version of the app – which also facilitates Bitcoin Cash transaction – is even more attractive. You can easily create and verify your account here and start Buying Bitcoins with less confusion. Sadly, its customer support isn’t as responsive as one would hope for. 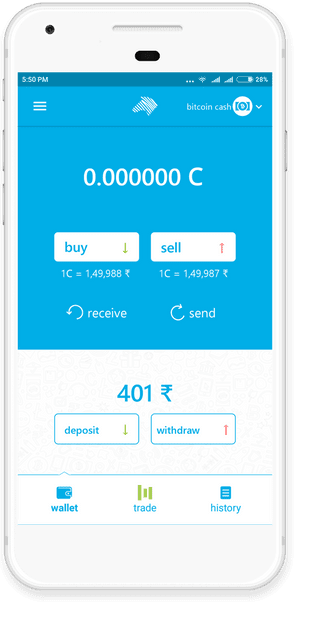 Unocoin is another major Indian Bitcoin exchange, trusted by thousands of people in the country. It has a good Android and iOS app. Plus, you can buy and sell on this exchange even in your browser, unlike Zebpay. Although the Unocoin app looks dull, it is quite powerful. Plus the interface is very user-friendly. So you won’t have trouble handing it. There are all the rich features available with easy navigation. It’s actually a delight using. But the biggest upset from Unocoin is its big difference between buying and selling price. The spread is too big, which makes trading Bitcoin to cut profit extremely difficult. 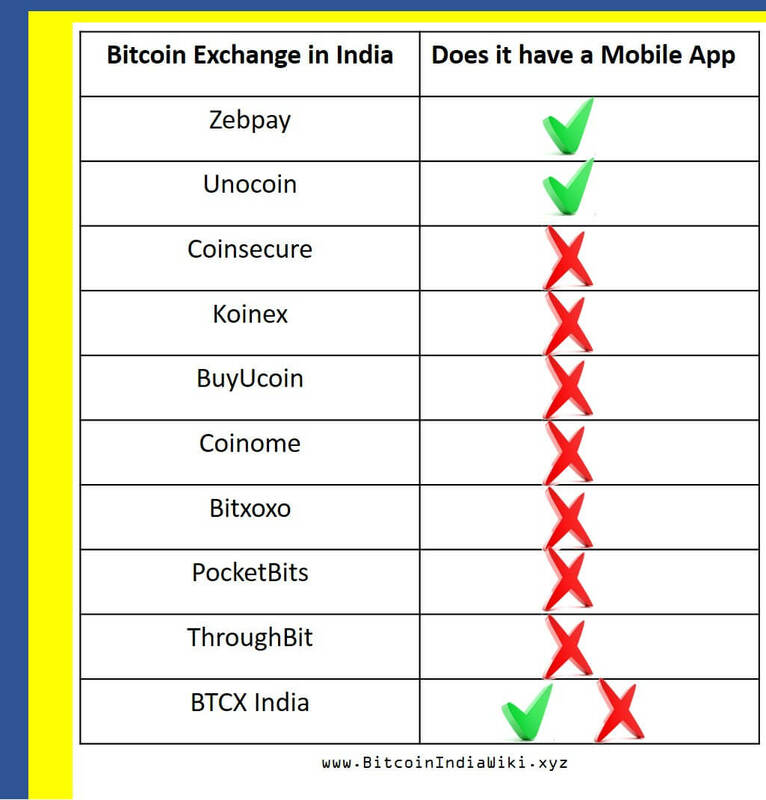 Other than these, we didn’t find any known Indian Bitcoin exchange with a mobile app (which is quite a shame and disappointment). 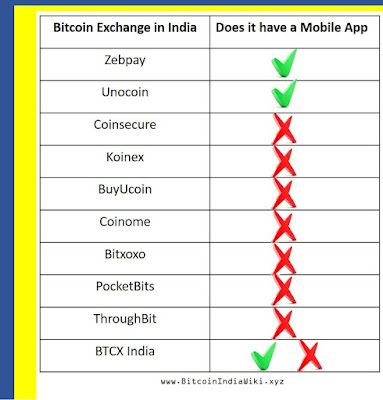 So if you really want an app to buy Bitcoin in India, Zebpay and Unocoin are the best options you have.